Documents themselves have long been digital, but most businesses have yet to grasp the transformation benefits of implementing intelligent automated document generation and management processes. 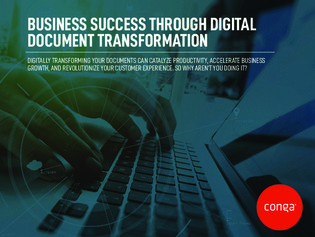 In this white paper, discover how to digitally transform your documents with automation, and bring your documents and data together for a modernized document management experience. View this guide to learn more.